Working with light materials as a basic always look fresh and up to date, and makes it easier to use richer colours and patterns in every room if you like. My best advice is to keep the basic colour palette limited, and also select materials by heart. The only good pattern or texture is the one YOU love. Think natural textures and durable solutions when hunting for your favourites. Here are some helpful keywords to get my late summer mode and make it a stayer: Light wood, straw, white sofas, light blue, green, light gray and various neutral linens of course. 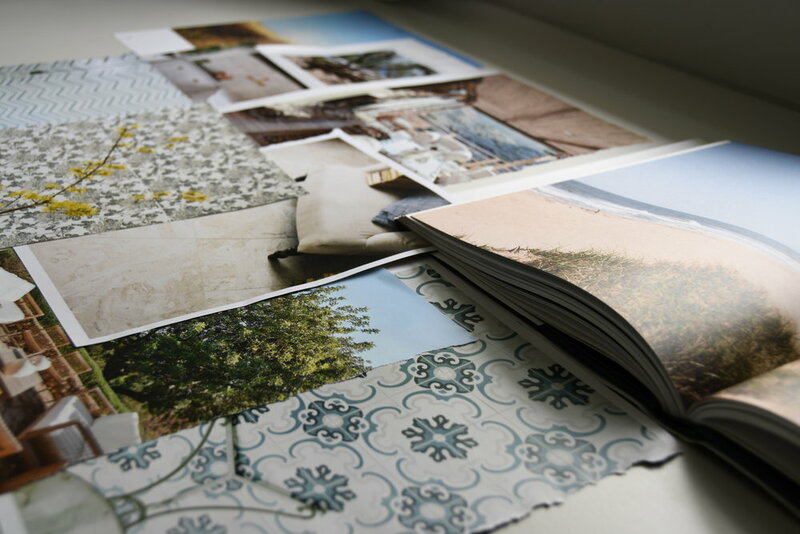 Tiles from Fired Earth, Wallpaper from Sandberg Wallpapers, and Inspiration from Elle decoration, mixed my own photos. Just ask if you have any questions!